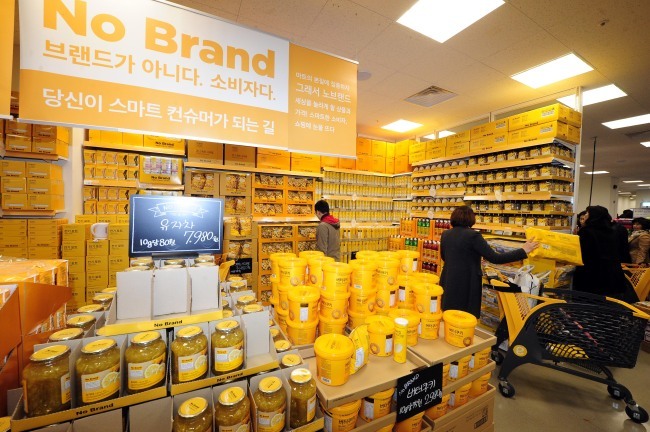 South Korean retailer E-mart said Monday that its No Brand private-label products will enter the Philippines market via the brand’s first overseas store set to open in 2020. According to E-mart, the company signed a franchise contract for exports with the Philippines’ leading retailer Robinsons Retail on Friday. Under the deal, the company aims to open 25 No Brand stores and 25 Scentence beauty stores at major shopping malls and department stores in the Philippines by 2020. Robinsons Retail currently runs 47 shopping malls, 49 department stores, 130 supermarkets and 3,000 convenience stores across the country. Under the contract, Robinsons Retail will develop and operate the stores, while E-mart will be paid for No Brand products exported to the Philippines and royalties. E-mart’s overseas franchise business will continue to target Southeast Asian markets, the company said. E-mart currently operates two E-mart stores in Mongolia and one Scentence beauty store in Saudi Arabia. No Brand was launched in 2015 in an effort to offer customers quality products at low prices by eliminating costs that arise from branding and packaging. According to E-mart, No Brand’s overseas export volume from January to October this year increased 57.8 percent on-year. No Brand products ranked third in the global snacks category on JD.com during the recent Singles Day promotion in China.